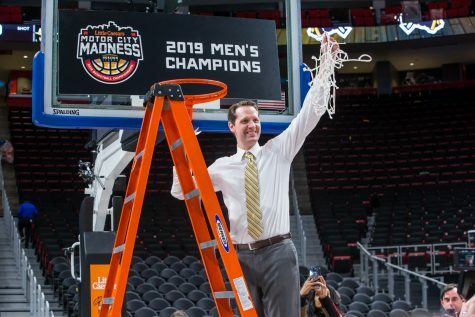 The Northern Kentucky University men’s and women’s basketball teams saw their seasons come to an end with heartbreaking defeats to conference opponents. The women’s basketball team saw their season come to a end when they were not selected for the Division II NCAA Tournament. The Norse started the Great Lakes Valley Conference Tournament Feb. 26 with a 61-51 win over the Kentucky Wesleyan College Panthers. Junior forward Sadie Bowling led three Norse in double figures with 16 points. 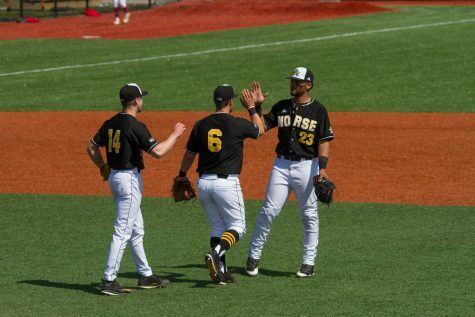 The win helped the Norse jump to the eighth-ranked team in the regional rankings. However, they were not able to hold on to that spot, as the University of Indianapolis Greyhounds defeated the Norse March 4, by a score of 61-57 in the quarterfinals of the GLVC tournament. The Greyhounds finished the game on an 8-0 run to rally for the victory. Junior guard Casse Mogan led the Norse with 24 points, and sophomore guard Jaimie Hamlet added 10 points in the losing effort. 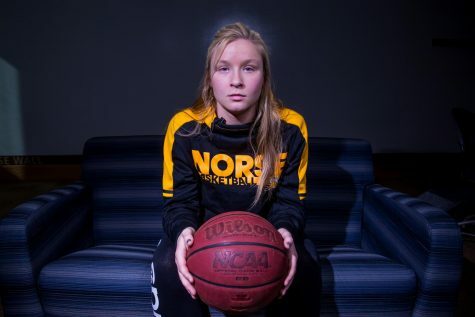 The Norse were forced to play without Bowling, who broke her leg in a shoot around before the game. The loss dropped the Norse out of the top eight in the regional rankings, ending their season without a trip to the NCAA tournament. 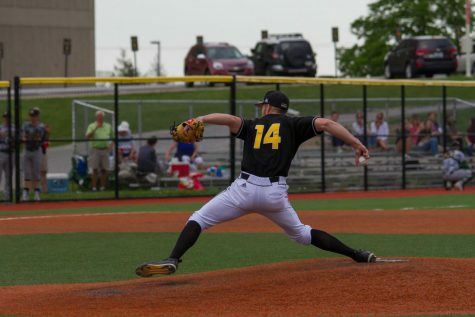 The Norse finished the season with an 18-10 record overall which included an 11-7 mark in the GLVC. 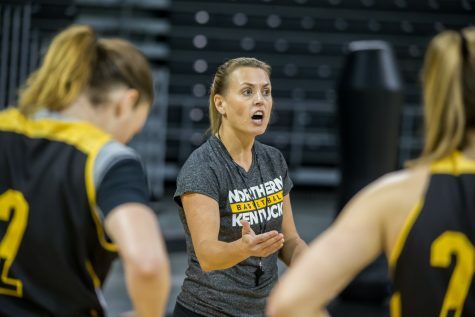 The Norse took full advantage of their home court by posting a 12-1 mark at the Bank of Kentucky Center. The Norse were led by Mogan who averaged 17.8 points per contest. That average was the tops in the GLVC. 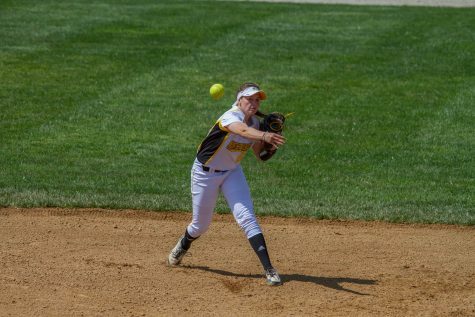 She was named to the All-Great Lakes Valley Conference first team and also to the Daktronics All-Midwest Region first team. Bowling was the second leading scorer on the team with 9.3 points, and was the fifth-leading rebounder in the conference with 7.3 rebounds. The men’s basketball team saw their season end when they fell to Bellarmine University in the semifinals of the NCAA Midwest Regional. 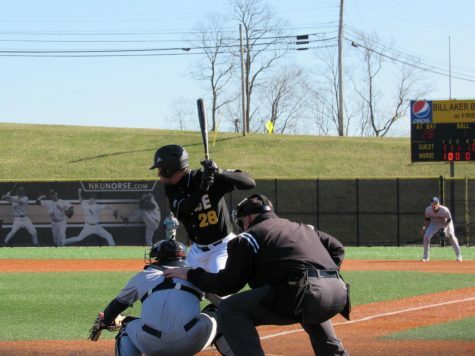 With the loss in the NCAA tournament, NKU finished with a 21-9 record, including 12-6 in conference play. The Norse earned the fourth seed in the Midwest Regional and earned the opportunity to play the Panthers for the fourth time this year. They got their revenge for the GLVC tournament loss against Kentucky Wesleyan by winning in dramatic fashion. Junior guard Tony Rack hit a 3-pointer at the buzzer in overtime to help the Norse earn the 76-74 victory on March 12. Rack finished the game with eight points, while Tabb and Eleby led the team with 23 points apiece. Their season ended a day later, with the loss to the Knights. The Norse was led on the year by transfers. Eleby, a Saint Bonaventure transfer, led NKU in scoring (12.8), rebounding (6.1) and assists (4.5). Tabb, a transfer from Tennessee, averaged 12.0 points on the year. Both players were All-Great Lakes Valley Conference third team selections.